The bioprospecting proficient of novel pigmented probiotic strains with respect to aquaculture industry was unexplored hitherto. 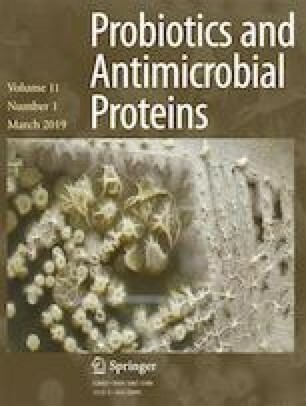 In this study, we investigated the probiotic potential of novel pigmented bacterial strains isolated from the indigenous soil sediments in their vicinal habitats, which were screened for their antimicrobial activity against aquatic pathogens using agar well diffusion assay. The strains namely Exiguobacterium acetylicum (S01), Aeromonas veronii (V03), and Chryseobacterium joostei (V04) were phenotypically identified and confirmed by 16S rRNA gene sequence analysis. Further characterization revealed that strains S01 and V03 survive relatively in lower pH and higher bile salt concentrations and possess good adherence ability and broad-spectrum antibiotic susceptibility. The isolate S01 exhibited the higher adhesion ability to hydrocarbons (82%) and mannose-specific adhesion (msa) gene expression. Additionally, the probiotic effects were evaluated in Artemia nauplii fed with algae supplemented with S01, V03, and V04 strains (2.7 × 107 cfu/mL) for 3 days under axenic environment. We observed a significant increase (p < 0.05) in the survival rate of Artemia nauplii treated with S01 (83 ± 5%) and V03 (55 ± 5%), whereas the survival rate was only 30 ± 0% in the untreated group. Moreover, the individual length (IL) was increased in treated group S01 (156.7 ± 2.2 μm), V03 (146.1 ± 3.4 μm), and V04 (134.4 ± 2.5 μm) compared with untreated group (116.0 ± 4.8 μm). Our results revealed that E. acetylicum S01 exhibits desirable functional probiotic attributes compared to A. veronii and C. joostei and it would be a promising probiotic strain, which can be efficiently used in the aquaculture applications. The online version of this article ( https://doi.org/10.1007/s12602-017-9353-z) contains supplementary material, which is available to authorized users. The authors wish to acknowledge DST-Science Engineering Research Board (SERB), Government of India, for the financial support under Young Scientist Scheme (SB/YS/LS-05/2014) and DST-PURSE Phase-II, M.KU and UGC-SAP of School of Biotechnology for instrumentation support. The authors wish to acknowledge Dr. B. S. Dileep Kumar, Senior Principal Scientist & Head, CSIR-National Institute for Interdisciplinary Science and Technology (NIIST), Thiruvananthapuram, for permitting to use SEM imaging facility. The authors also wish to acknowledge Mr. Abel Arul Nathan for his help in the statistical analysis. The experiments in this study were performed in accordance with relevant national and international guidelines. This article does not contain any studies with human participants or animals performed by any of the authors.